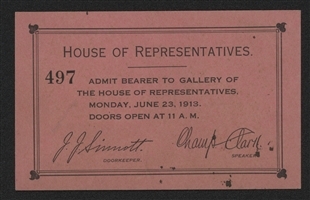 This pass admitted a visitor to President Woodrow Wilson’s address to a Joint Session of Congress in the House Chamber on June 23, 1913. Wilson spoke of the need for banking reform. Nearly everyone agreed it was urgently required, but disagreed on the kind of reform. 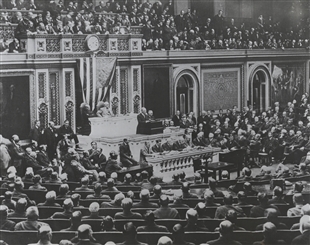 Wilson pressed for creation of the Federal Reserve System in his speech, and Congress ultimately passed the legislation in December.